Capos Culpepper, Son, M, Apr-1879, 21, S, AL GA MS, Farm Laborer. Biography* � Ann Malvina was the fifth child and second daughter of William Henry and Sarah (Leslie) Culpepper. Based on land records, Ann Malvina's father is known to have been in Meriwether Co., GA by 1838 and this is where she is presumed to have been born and where she was first noted as a female 0-5 years old in the household of her father in the 1840 census. When Ann was eleven years old, her parents moved the family to Alabama. Within months, Ann's mother died. In the 1850 census of Randolph Co., AL, Ann was noted living with her widowed father, William Henry Culpepper. In 1855, Ann Malvina married John James Elliott. They settled down to raise a family in Randolph Co., AL and this is where the couple was noted with their infant daughter, Missouri, in the 1860 census. After the death of her husband in 1863, the 25 year old Ann Melvina did not remarry but raised her children alone. The widowed Ann is noted living alone with her children in the 1870 census of Randolph Co., AL. William H. Culpepper, 2 M0-5, 2 M5-10, 1 M20-30, 1 F0-5, 1 F5-10, 1 F30-40. 1840 Census* � John was probably a free white male, age 5 and under 10,in Sarah O. Culpepper's household, on the 1840 Census at Louina, Randolph Co., Alabama. 1850 Census* � John listed as a household member living with Sarah O. Culpepper on the 1850 Census at Meriwether Co., Georgia. Biography* � John James Elliott was the son of William and Sarah O. (Culpepper) Elliott. He is presumed to have been born in Monroe Co., GA where his father was noted in the 1830 census records and in 1832 Cherokee Land Lottery records. John James Elliott's father apparently died when John was a child and John was noted as a male age 5-10 years old living with mother in the 1840 census of Monroe Co., GA. Sometime before the 1848 marriage of his older sister, Martha, John James Elliott's mother, Sarah, moved the family to Meriwether Co., GA. This is where the teenager, John James Elliott, emerges in the 1850 census records in his mother's household. In the early 1850's, possibly before the death of her father, John Culpepper, Sarah (Culpepper) Elliott moved the family again, this time to Randolph Co., AL. There, John James Elliott married Ann Malvina Culpepper in 1855 and he is next noted as a farmer in the 1860 census of Randolph Co., AL. Employment* � William's occupation: HISTORY OF RANDOLPH COUNTY, ALABAMA, AS WRITTEN BY GEN. B.F. WEATHERS (written circa 1900). This entire document is located at . Biography* � William Araspes was the sixth child and fourth son of William Henry and Sarah (Leslie) Culpepper. He was noted as an infant in his father's house in the 1840 Meriwether Co., GA census and this is where he is presumed to have been born. William's middle name is a puzzle. There is no other record of it except in the Bible record but the Bible record is very clear. No other name has been found like it. It is presumably a phonetic spelling of a name which William Henry or Sarah (Leslie) Culpepper knew. It has been suggested that the name might be Erasmus with the m heard as a p. The name Erasmus is known to have been used for three generations in the line of Erasmus Culpeper, son of Benjamin Culpeper, the ferryman, of North Carolina. This was the Erasmus that inherited the land that Joseph and Benjamin Culpeper, sons of Robert Culpepper, son of Henry Culpepper, Sr., settled on Fishing Creek in North Carolina (see appendix C). William was eight years old when his parents moved the family to Alabama. A few months later, William's mother died. William was noted living with his widowed father in 1850 census records of Randolph Co., AL and with his father and stepmother 1860 census records of Randolph Co., AL. 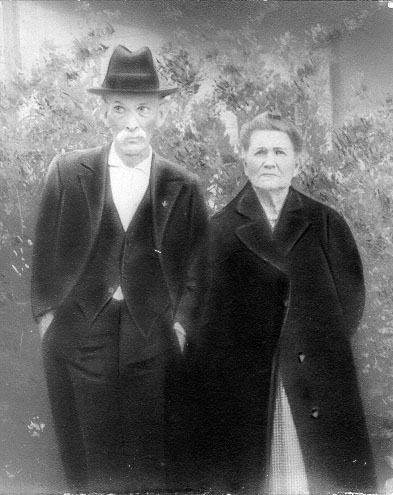 William A. and Zillah Barron Culpepper were living in Hopkins County [TX] for a period of time and lived near Billy [William Jehu] Culpepper. When they returned to Alabama, all of their children accompanied them. Service record of William Araspes Culpepper submitted to Culpepper Connections by Linda Cushing (#174) who received it from Carole Watson. 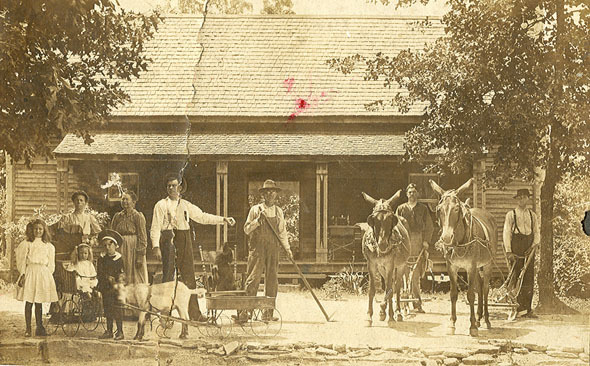 from an article about William A. Culpepper's brother, John Malcolm Culpepper, "Pioneers and Veterans," unknown source, possibly a Saltillo, Hopkins Co., TX paper, circa 1912-14? Biography* � Emily Miriam was the seventh child and third daughter of William Henry and Sarah (Leslie) Culpepper. Since Emily's parents were noted in the 1840 census of Meriwether Co., GA and are not known to have moved to Alabama until 1848, Emily is presumed to have been born in Meriwether Co., GA. When Emily was seven years old, her parents moved the family to Alabama. Within months, Emily's mother died. Emily is next noted in the household of her widowed father in the 1850 census of Randolph Co., AL and in the household of her father and his second wife in the 1860 census of Almond P. O. District of Randolph Co., AL. After the Civil War, Emily apparently married for the first time. Her first child was listed as a step-daughter in the household of Emily's second husband, B. Y. Carlisle. There is a family tradition that Emily's first husband was named John Culpepper. There is speculation that this was John Culpepper, the son of James I./J. 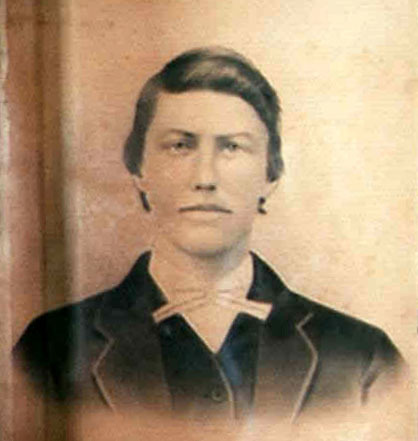 Culpepper, who was noted living with his mother in Coosa Co., AL in the 1850 census and who was noted as a head-of-household in Harris Co., GA in the 1860 census with his mother living with him. He is not known to have died during the Civil War and he has not been located in 1870 census records so he is believed to have died before then. Emily next married B. Y. Carlisle and they settled down in Randolph Co., AL to raise their family. The remainder of Emily's children are by her second marriage. Biography* � B. Y. Carlisle was born and raised in Meriwether Co., GA. He was nine years old when the Civil War began. His father was last seen heading off to War and never returned. My father and son and I made a trip to Alabama in 1972 to try and locate some of the Carlisle's. We visited in Wadley and found Uncle Yarbrough's grave. Also we talked with some people who described an old house west of Wadley, way back in the woods, the old Carlisle place. When I was a small boy, my father and mother visited uncle Yarbrough and Aunt Emily one Sunday in Wadley, Ala. and Uncle Yarbrough had a very large Billy Goat with long horns and I rode the big goat and held on by his long horns. Uncle Yarbrough had a good sense of humor. She thinks that all of her father's (Yarbrough's) brothers moved to Killeen, TX and then scattered to other places in Texas. Biography* � Martha was first noted as one of three females under 5 years old in the household of "William Elliot" in the 1830 census of Monroe Co., GA and this is where Martha is presumed to have been born since an older sister, Elizabeth, is known to have been born in Monroe Co., GA. Unfortunately, the three sisters were not noted in their mother's household in the 1840 Monroe Co., GA census. Perhaps one of the girls died young and Martha and her sister, Elizabeth, were in Meriwether Co., GA visiting their grandparents. Martha had apparently moved with her mother and brothers and sisters to Meriwether Co., GA by 1848 since Martha was married there in Dec 1848 to J. M. Carlisle. Martha was noted in the 1850 Meriwether Co., GA census with her husband and infant son. A 30 year old "Martha Carlisle" born in Georgia was noted (411) in the 1860 census of Oak Ridge P. O. district, Meriwether Co., GA with her husband and young family. 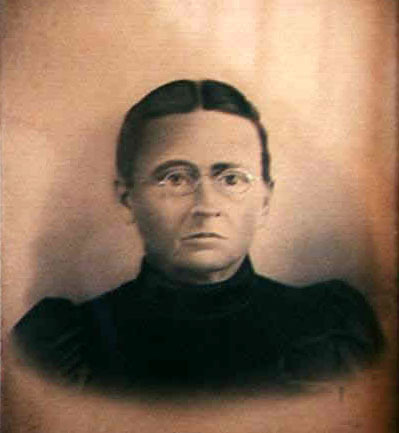 Sometime before 1870, probably soon after she learned of her husband's death in the Civil War, Martha moved her family to Randolph Co., AL where Martha's mother, Sarah, was living. In the 1870 census, a 45 year old "Martha Carlisle," born in Georgia, was listed (p. 572, family #10) in the Louina P.O. district, (now Wadley), Randolph Co, AL with her younger children. 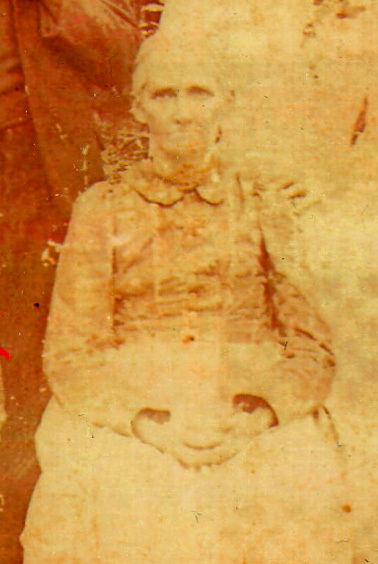 Although some of her children have been identified in the 1880 census records of Randolph and Tallapoosa Co., AL, Martha has not yet been located. But since her younger children married in Tallapoosa Co., AL, Martha is presumed to have moved there, perhaps with her oldest son, William. 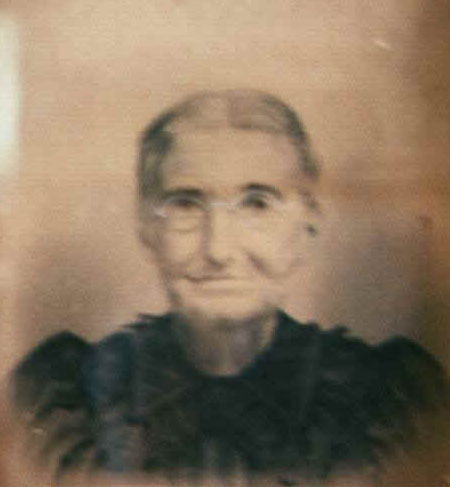 Sometime before 1900, Martha had moved to Texas, probably with the family of her son, Jeremiah Beauregard Carlisle. In the 1900 census Martha was listed (ED 33, p. 14) as living in Bell Co., TX in the household of her son, Jeremiah Beauregard. She was listed as having been born Sep 1828 in Georgia. Harold G. Carlisle wrote, 25 Nov 1978, that "my father [Herbert Raymond Carlisle] knew his grandmother [Mrs. J. M. (Martha Elliott)] Carlisle, who had been an Elliott before marrying." Harold G. Carlisle added, 11 Dec 1978: Dad [Herbert Raymond Carlisle] said his grandmother Carlisle [Martha F. Elliott] lived in their home quite a bit. He said she was a real fine Christian woman. She was very strict in her Sabbath observance. Dad said she seemed somewhat partial to him. She would say, "Herbert, come over here, I've got some coffee fixed." 1850 Census* 1850� James was listed as the head of a family on the 1850 Census in 1850 at Meriwether Co., Georgia. Biography* � Lewis Washington Culpepper was probably born in Meriwether Co., GA since that is where his parents were noted in 1840 census records. When he was about six years old, his parents and grandparents moved the family to Alabama and, within months, his mother died there. In 1850, an eight year old Lewis emerges in census records, living with his grandfather, John Culpepper, in Randolph Co., AL. In the 1860 census, still in Randolph Co., AL, Lewis was noted living with his father, William Henry Culpepper, and with his step-mother. Lewis Washington Culpepper was eighteen years old when the Civil War began and, according to records in his service file, he joined the Confederate forces on August 1, 1861.2 He served as a private in Capt. Alfred C. Wood's Company K which was part of the 14th Infantry Regiment of Alabama Volunteers. A secret gun installation had been put in place by the Confederates at Evansport during the Fall of 1861. It overlooked the Potomac River near Washington, D.C. and was successful in limiting Federal use of the river. The installation had been built quietly, hidden by a cedar grove which was cleared in one night once the guns and barricades were made ready which allowed the artillery gunners an unobstructed view of targets on and along the river. According to a record in his service file from a Register of Officers and Soldiers of the Army of the Confederate States who were killed in battle, or who died of wounds or disease,5 Lewis Washington Culpepper died at Evansport, VA 20 Dec 1861. He was 19 years old. No cause of death was noted. The regiment had not yet taken part in any battles but, in January of 1862, the regiment was sent to Richmond, VA to recover from a camp disease.3 It seems likely that Lewis Washington Culpepper died during the disease outbreak. Chip Culpepper found a book by Mary Alice Wills called The Confederate Blockade of Washington, D.C., 1861-1862 (Parsons, WV: McClain Printing Co., ) which details the events around Evansport and the author noted the prevalence of dysentery, pneumonia and measles during the winter of 1861. Chip wrote 6 that according to the book, the 14th Alabama "was almost completely disabled by the measles." Lewis 8 in hh of grandfather John Culpepper. Biography* � Sallie was the daughter of William Henry and Sarah (Leslie) Culpepper. Based on locations from census and land records for her father and a Bible record for a younger sister, Sallie, was born in Meriwether Co., GA. When she was four years old, her parents moved the family to Alabama. Within days of Sallie's fifth birthday, her mother died. Sallie was noted with her widowed father in the 1850 census of Randolph Co., AL and she was noted with her father and his second wife, Catherine, in the 1860 census of Randolph Co., AL. Biography* � James Fletcher Haralson married Sarah Jane Culpepper after the Civil War. They settled down to raise their family in Alabama. The couple was noted in the 1870 census of Clay Co., AL 2 and in the 1880 census of DeKalb Co., AL. Danny Keith Haralson, Haralson- Harrelson Family History and Lineage, Mesa, AZ: Cox Printing, 1999, 1999. No Miller Valley has been identified, could this be Mellow Valley? Photographed* say 1895� He was photographed say 1895 at Randolph Co., Alabama. John was a blacksmith, carpenter, and somewhat of a wainwright and was quite a disciplinarian. He tried to keep a really tight line on his children. I don't remember much talk of the years when the Perrys were in Collinsville, AL, except for talk of the rough and hard times they had, such as having to fertilize each fill of corn, as they planted and having to saw lumber and make all the caskets.... I don't recall hearing if he [John Wesley Perry] pastored any churches while in the Collinsville area. I suppose he did though as they had a "religious" family quartet, and they sang around the country and made quite a few records. I believe nearly all of them were singers. I can remember grandmother waking me in the middle of the night singing religious songs in her sleep. On my way out [to the Perry reunion] I stopped to visit Ruby Wiltrout and she took me over to see the old John Wesley homeplace that is still standing. It is scheduled to be torn down any day now so I was fortunate to arrive in time to get some photos.... I also got a visit of the old Methodist Church that is still there but remodeled inside. I see now that we are still perhaps correct on the fact that John W. may have preached because they had 2 churches back in his day, a North and a South Methodist with one believing in slavery and the other not. In fact the Church that is there now has some of the furniture out of the other one. 4 Jan 81 but Briley Perry ltr 5 Jul 78 'in vicinity of Birmingham. 4 Jan 1981 p. 12.5; POB obituary. 4 Jan 1981 p. 12.7; POB based on census location of parents. 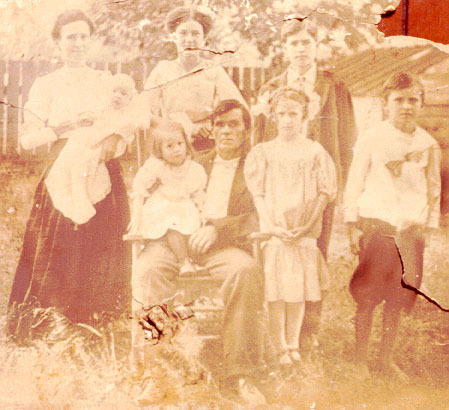 Left to Right: Lilly Kathern Kirk (oldest daughter of Daniel P Kirk), Iva D. Kirk (my mother), Emma (Brown) Kirk (D. P. Kirk's 1st wife), Leon Kirk (oldest son of D.P. Kirk), Florela (Culpepper) Kirk, Daniel P. Kirk, John W. Kirk, last two unknown. Biography* � Florela Caroline was the eleventh and last child and sixth daughter of William Henry and Sarah (Leslie) Culpepper. She was born in Alabama, presumably in Randolph Co., AL where her father was noted in land records. Florela's mother died the day Florela was born. Florela is next noted in the household of her widowed father in the 1850 census of Randolph Co., AL and in the household of her father and his second wife, Catherine, in the 1860 census of Almond P. O. District of Randolph Co., AL. I remember my Grandfather and Grandmother very well, as we lived not too far from them until I was 16 years of age and I visited them many times after we moved some distance from them. My grandmother, like many of her ancestors, was very emotional with her religion and every time she went to her church at Almond she would get happy and shout all over that church. Two grandsons, older than I, [and I] would visit our Grandparents in the Summertime during the church revival. The windows would all be open for air, and when Grandmother got happy and started to shouting, she would start for us grandsons and we would jump out the window to get away from her. When we spent the night with her and Grandfather, he would go to bed early, but when Grandmother went to bed she would reach for her Bible and say, "Let's read a few verses of the Bible" and then she would say, "Now let Is get on our knees and have prayer. It has been so long, I don't remember what she prayed for, but she read her Bible and said her prayers every night. My Grandfather would sometimes get ill or cross with my Grandmother and would fuss at her and look out of the corner of his eye and wink and grin where Grandmother couldn't see his grin. He didn't mean a word he said to her with his fussin, and Grandmother would listen to a few words and look at him and smile and say, "Now John." Florela died in 1929 at the age of 80. Lew I hope you are in touch with Douglas by now. a Hotel in Oxford, Al. It is open to all but few show up, since it is not in Ashland. As soon as the plans are set for 2012, I'll let you know. I can remember attending the John W Kirk family Reunion for a few years as a child, and I believe the Dan Kirk reunion just picked where that one left off. The John W family Picnic met at an area called The Bald Rock. It was in an area of an out-croping hard hard rock with a creek flowing thru it. and plenty of room for many families. There were other folks gathered there as well. Douglas told me the property was sold and the new owner closed it to the public. That was years ago. Too bad! E-mail written July 2006 to Lew Griffin from Carlos F. Robertson, Carrollton, Georgia, e-mail address. Correspondence from Leonard Hoyt Kirk to Lew Griffin. E-mail written Sep 2009 - Jul 2011 to Lew Griffin from John Paul Kirk, e-mail address. My Grandfather fought in the Civil War four years. I asked him one time if he ever shot a man during the war and he said, "I don't know and I don't want to know. I shot at them, but in those days we used black powder and it made so much smoke that we would have to wait until the smoke cleared away and by that time another man may have stepped up to his place. Grandfather never discussed much about the war. He did tell me about the soldiers picking up the corn that the horses wasted when they were fed and washing the grains of corn and making hominy, and about the farmers butchering their hogs and hiding the meat in hollow trees in the woods but the Yankee soldiers would find it and take everything they found. Grandmother told me some days it would be real smokey and they would say, "The soldiers are fighting close today, it is so smokey." They fought all over Alabama, Horse Shoe Bend on the Tallapoosa River and the Railway Freight Depot in Scottsboro, the oldest brick building in Scottsboro, built before the Civil War and today there are signs where the Freight Depot was damaged by gun fire during the Civil War. 5 Feb 1981 p. 24. E-mail written Jul 2011 to Lew Griffin from Fred Summerlin, e-mail address. Martha Shurd Boon marriage to John P. Clegg is recorded in Maury Co Tennessee, not NC. I'm searching for parents of Martha Shurd Boon. I'm a directdescendant of her brother Joseph Boon. You have anything to share? Biography* � According to p. 394 of The Harbours in America by Louis J. Williams: Isaiah and Jincy Harbour in the early 1850s left their three grown children, Talmon, Polly, and Mikel H. in Mississippi and with their other eleven children moved to Texas and settled on a farm on Clarks Creek in Lavaca County, near where the town of Yoakum now stands, and there they spent the balance of their lives. Jincy died in 1884.... The Rev. 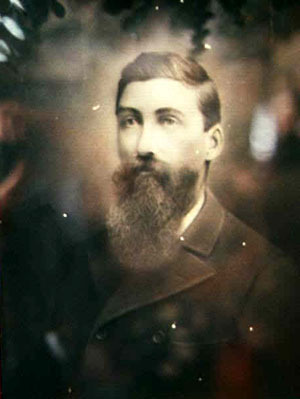 Isaiah Harbour d in 1856 while on a preaching mission. Photographed* say 1885� She was photographed say 1885 at Sasserville, now Gay, Meriwether Co., Georgia. Biography* � Mrs. W. B. (M. Louise Culpepper) Broach wrote 27 Sep 1978: When the [Charles William Culpepper] family moved from Haralson, his oldest daughter stayed and married a young man named Willie Gay. She was her father's heart's desire -- he called her 'Scrap' because she was a little person -- and he grieved over leaving her. Eleanor Culpepper Willingham visited the W. F. Gay home and saw a picture of Annira whom Eleanor described in a 13 Jul 1984 letter as "a rather plump lady, black hair, parted in middle - a very pleasant expression - round face." The dates given with the picture indicate that Annira was born in 8 Mar 1869 and died 10 Sep 1931 but she was listed in the 1850 census as an 8 month old child so the birth year is definitely incorrect. Annira was buried in the Gay Family Cemetery whose records indicate a birth 3 Dec 1849 and a death 10 Sep 1935. She was small and lively "the apple of her father's eye". She had nicknamed her "Scrap". She was in love with W.F. Gay, but Charles considered him a worthless fellow, who had not a dime, but when Charles decided to leave Coweta County "Anna" eloped with W. F. because she did not want to move. W. F. resented her father's attitude and moved to show him he could take care of Anna. He wound up being the county's leading citizen, owned over 2,000 acres of rich farm land, built the town , which bears his name. young grandson Alvin Keith, as a partner in the store, named "Gay and Keith" and trained Alvin to run the business. Alvin lived with his grandparents and took excellent care of them. He ran the business until his death. "Anna" was bright and cheerful and happy, and they had a happy family. Ann Ira Culpepper, 8/12, F, GA.
English Culpepper, 2, F, GA (English was actually recorded at the bottom of the page, five families removed from this one, as if he were part of the Charles H. Pyron HH, but it seems likely that the enumerator subsequently discovered the omission of English from the Culpepper family and simply added English at the bottom of the page). 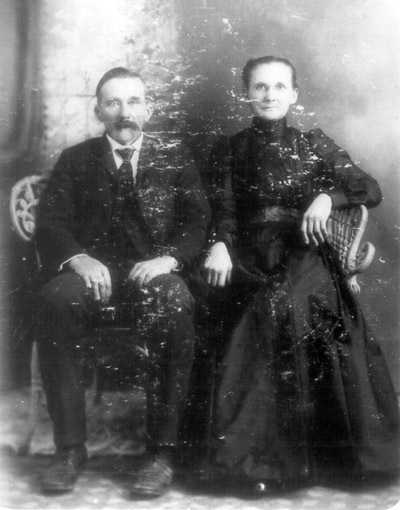 Anora Culpepper and W. F. Gay on 19 Aug 1869 in Meriwether Co., GA.
+ Mary Jane English Culpepper, 15 Oct 1830 – 19 Jan 1910. Biography* � William Franklin was known as "Willie." The following is from p. 1 of a booklet, "Gay, Georgia," about the town which was named for William Franklin Gay: In 1882 Mr. William F. Gay, who was the grandson of Mr. Sasser and who was then living in the home with the widow of Mr. Sasser, opened a small store here and in a few years it seemed that a post office was needed. Mr. Gay applied for one but since there was a Post Office in the Southern part of the state named Sasser, the department refused to name the new Post Office Sasserville. Mr. Henry R. Harris, who was in Congress at that time and who was assisting Mr. Gay in securing the post office, named the town Gay in honor of Mr. William E. Gay, hence the reason for the place being named Gay. Gay moved along for years with just the one store until Mr. J. W. Estes built another and this was the town until 1908. At that time the A. B. and A. Railroad was built which came right through the little town and along with it came rapid growth, there being erected several brick buildings, stores, warehouses, a bank, and a little later, a sweet potato curing plant. During these years Gay was the largest cotton shipping point in Meriwether County as well as the largest shipping point on the new railroad between Altanta, and Fitzgerald. him. He has been county bailiff, justice of the peace, and for the last six years county commissioner. His wife was Miss Anna Culpepper, daughter of Charles and Jane (English) Culpepper, old settlers of Coweta county, and natives of South Carolina. Mr. Culpepper was a soldier in the late war. Mrs. 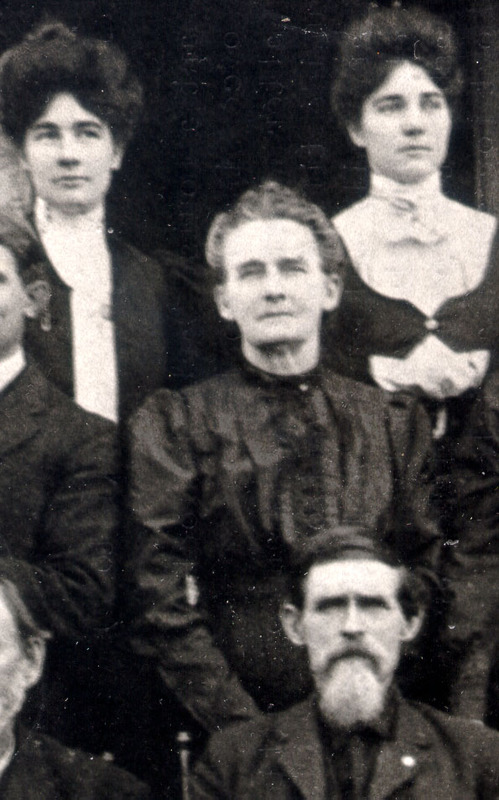 Gay was born in Coweta county in 1849, and is a member of the Primitive Baptist church. Mr. and Mrs. 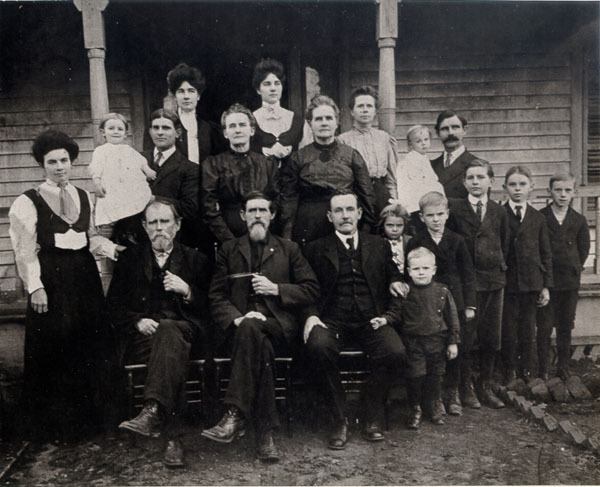 Gay were married in 1869, and their union has been blessed with eleven children: John, Emma, Lula, Mattie, Henry, Leila, Joe, Dallie, Ben, Bessie and Iva. Biography* � Eleanor Culpepper Willingham noted in Gay Cemetery records that the place of burial of Columbus Gay is unknown. Beniamin Walton Gay b.Mar 1848 d.Sep 1864. He enlisted in the Georgia Infantry 1862. He was captured at Marietta Ga in Jun 1864 and died of typhoid fever at Camp Merton Ind. during the Civil War. He is buried in Green Lawn Cemetery, Indianapolis Ind. grave #1113. .
Photographed* say 1900� She was photographed say 1900 at Gay, Meriwether Co., Georgia.